Extreme skydiver, Felix Baumgartner, begins a freefall of 29,455 metres in a test jump for the Red Bull Stratos Project thatlasted 3 minutes and 48 seconds at speeds reaching 862 kilometers per hour, with a 10 minute and 36 second descent into the desert of New Mexico. The jump –to test the latest pressure suits and safety measures that could be used in future space travel–makes him the second person ever to have completed a jump from this altitude. 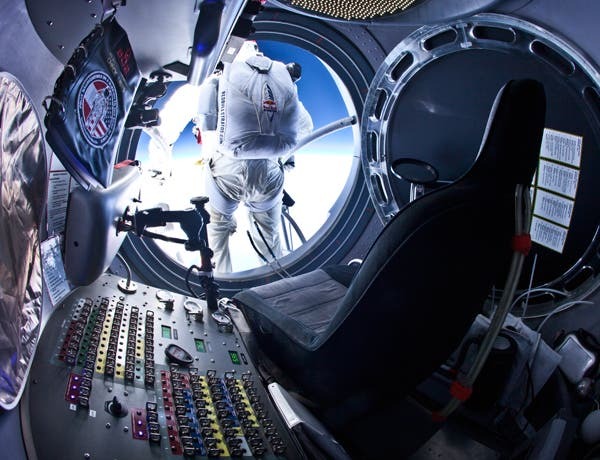 On Baumgartner's final jump, scheduled for later this year, he will plummet from 120,000 feet (36,576 meters) breaking the sound barrier – the highest ever space dive.